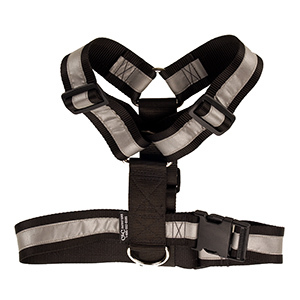 Mendota Reflective Dog Training Harness is an adjustable, comfortable harness suitable for tracking or training activities. Made of heavy-duty nylon, it also features 3M Scotchlite™ reflective material. Which ensures your dog will be more visible while out and about. Furthermore, it pairs well with the Springer Bike Attachment and ideal for most dog sporting activities.